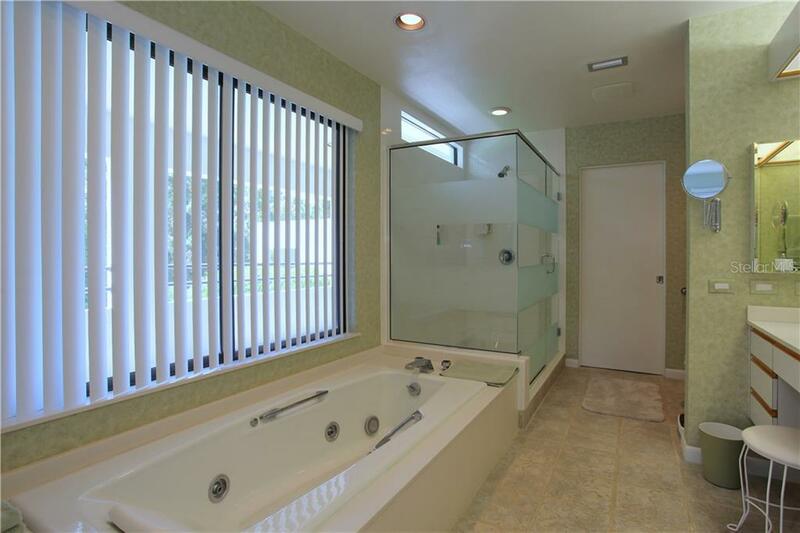 Ask a question about 4831 Hoyer Dr, or schedule a tour. 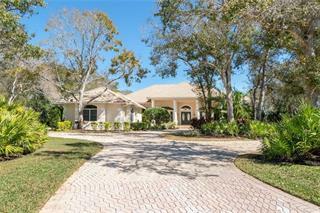 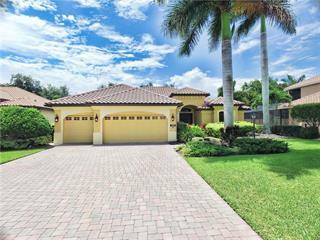 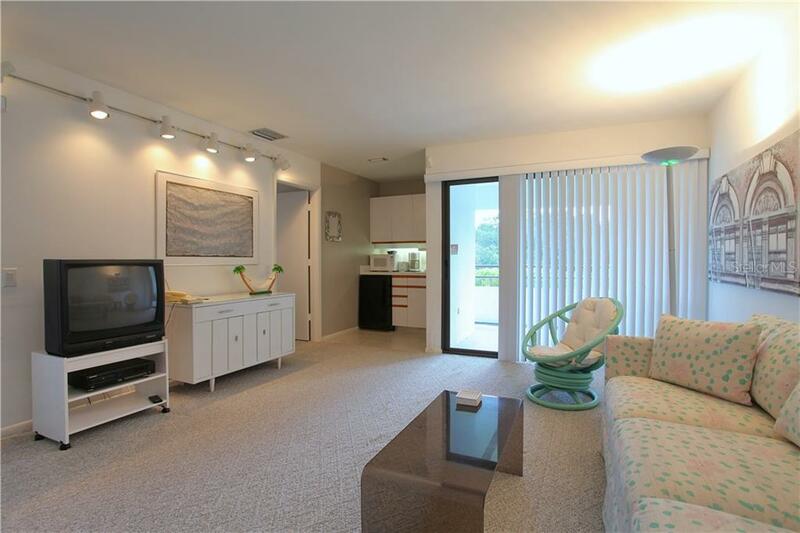 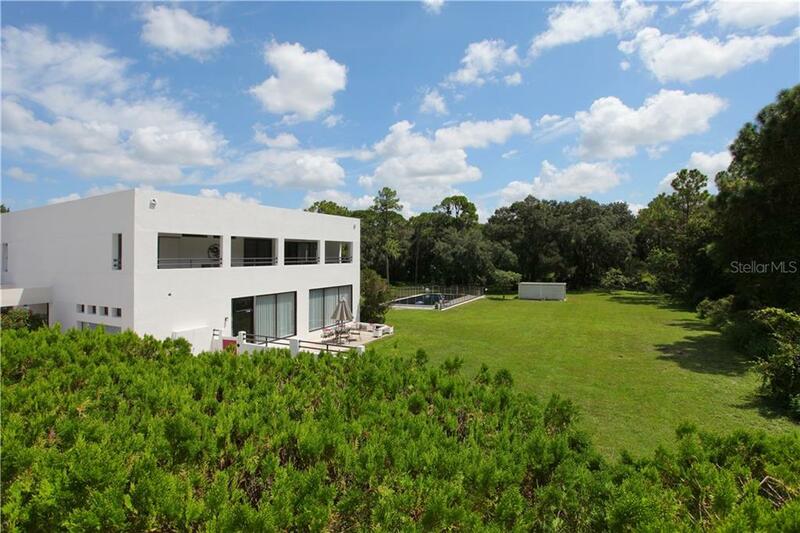 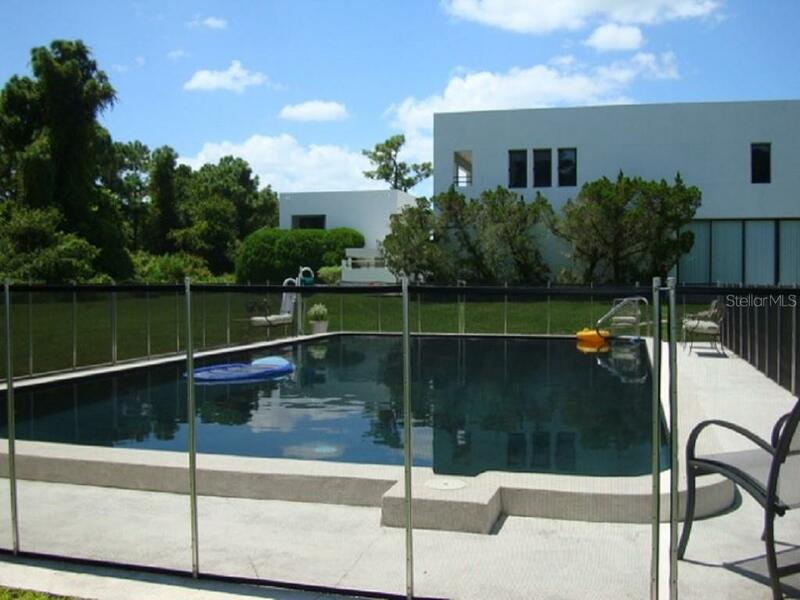 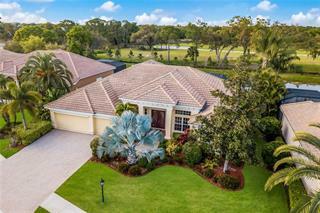 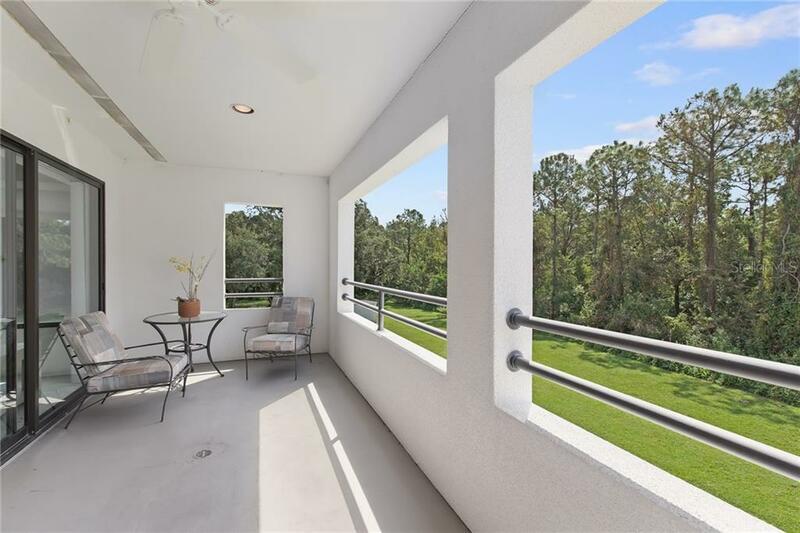 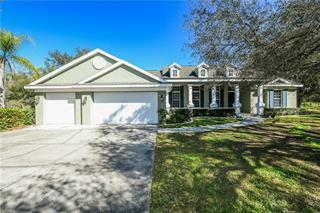 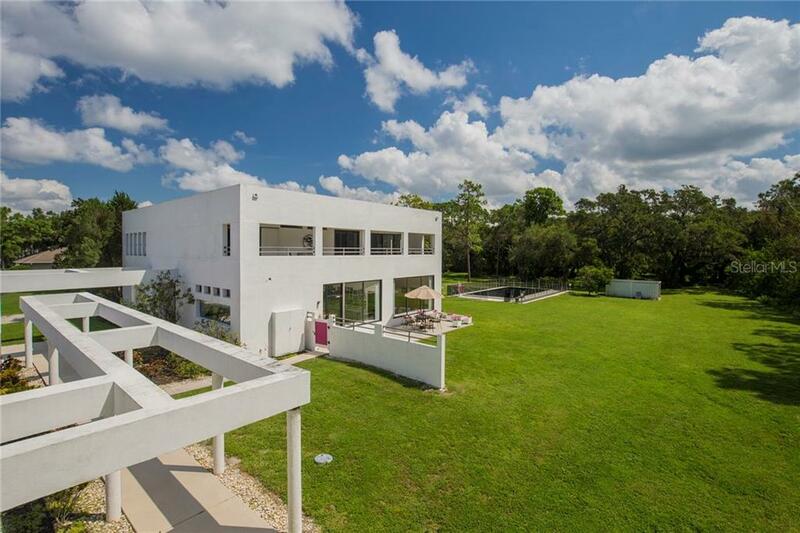 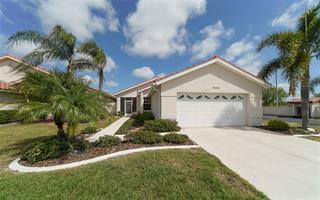 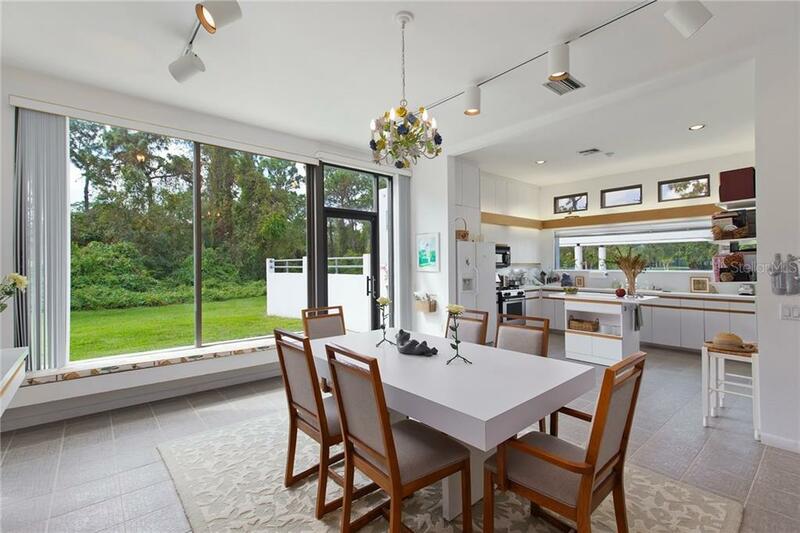 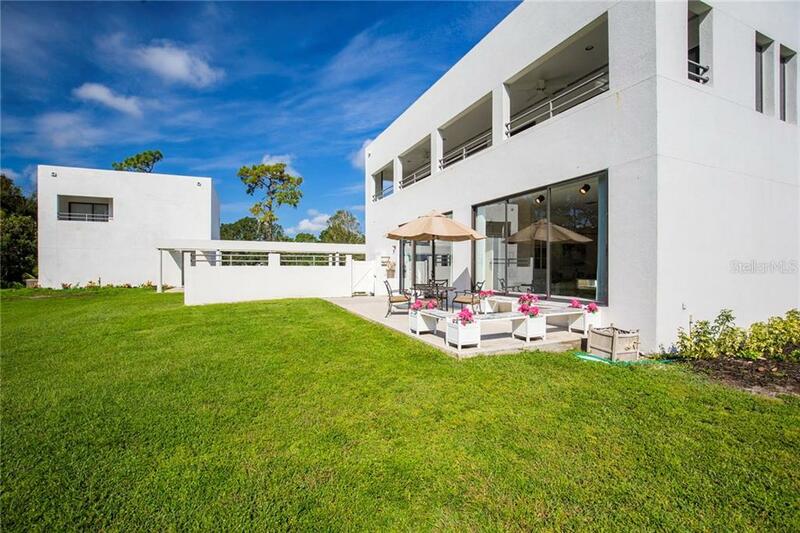 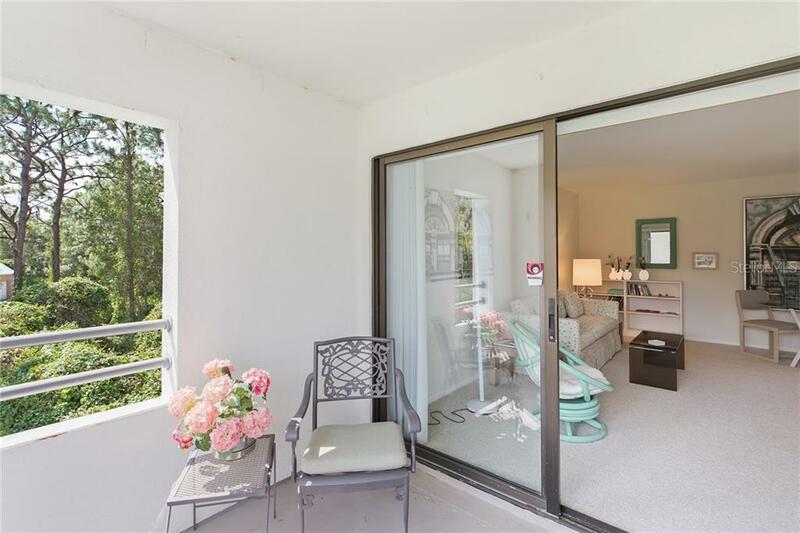 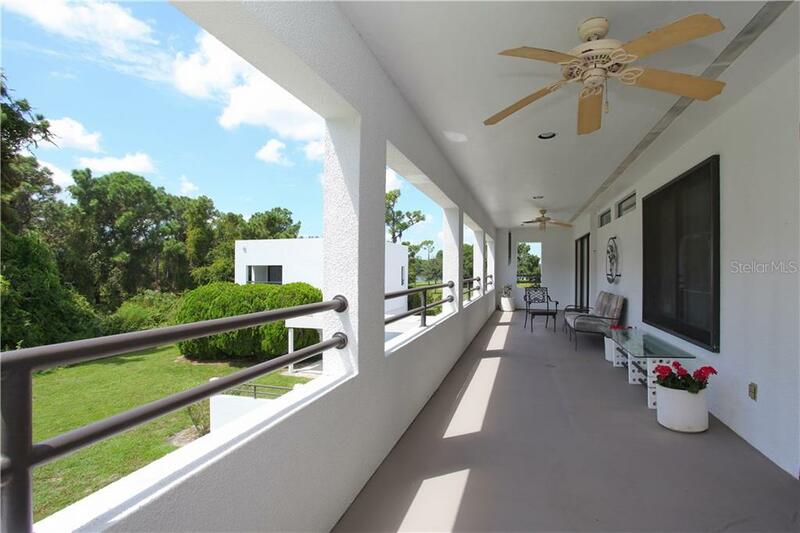 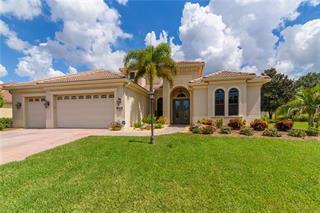 If you are looking for a one of a kind home with clean architectural lines sitting on a two acre lot in proximity to all Sarasota has to offer, then look no further. 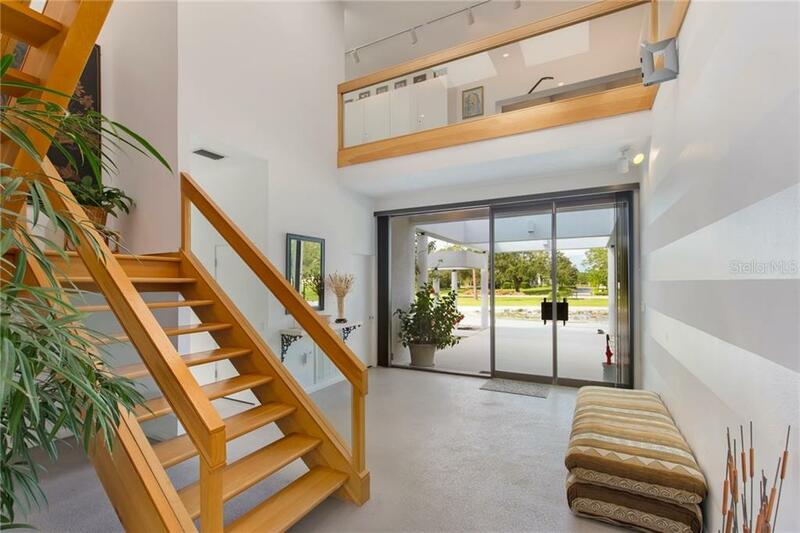 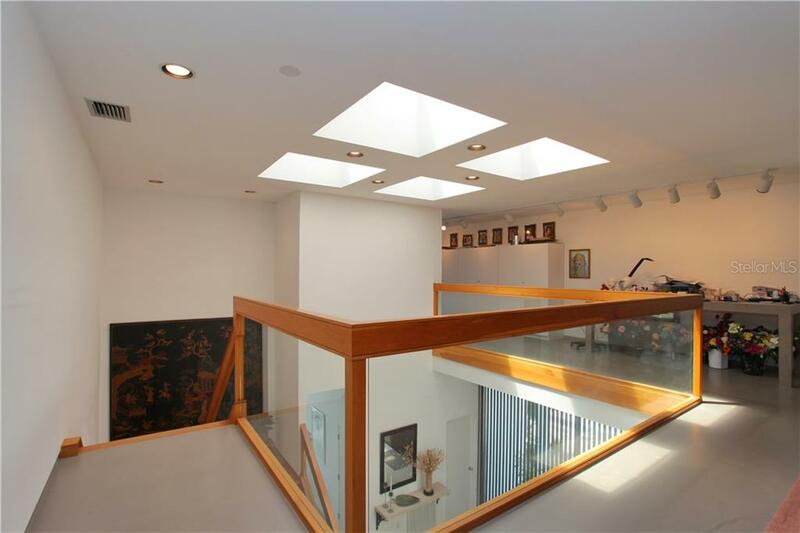 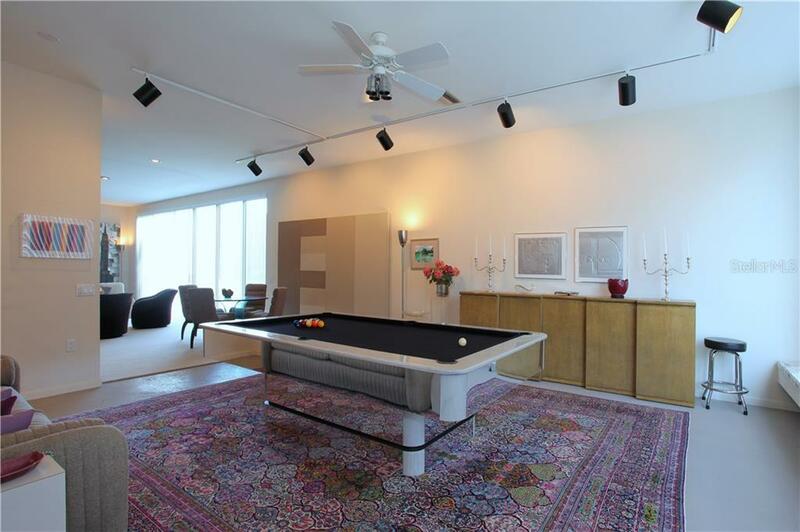 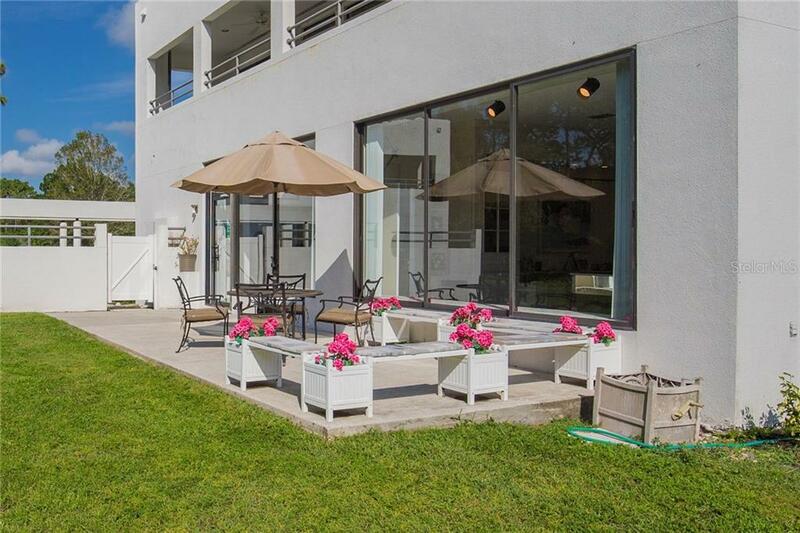 This contemporary house boasts stunning sight lines, sunlit oversize ... more.rooms and an open floor plan. 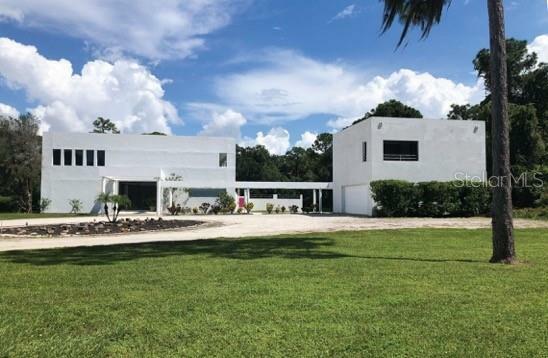 Enter the atrium with its four skylights leading into a large living room with a wall of glass facing the backyard’s huge black swimming pool backed by beautiful live oak trees and adjoining a formal dining room or game room. 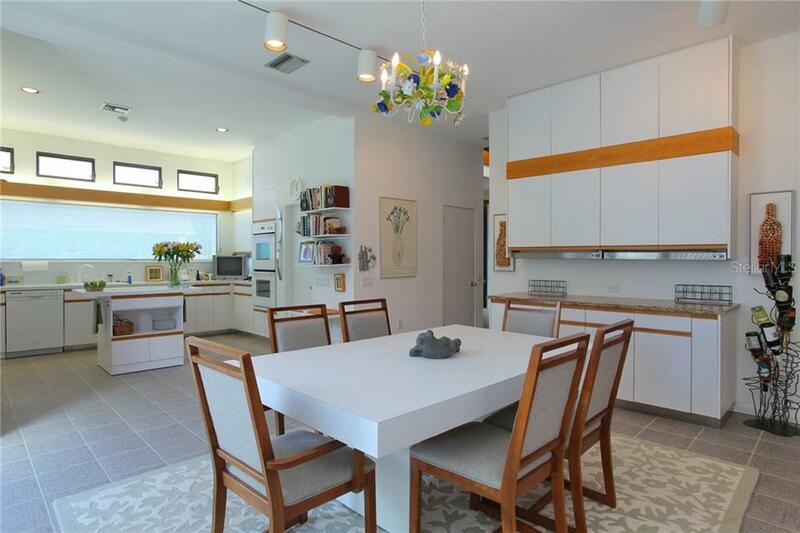 The commodious eat-in kitchen is made for cooking. 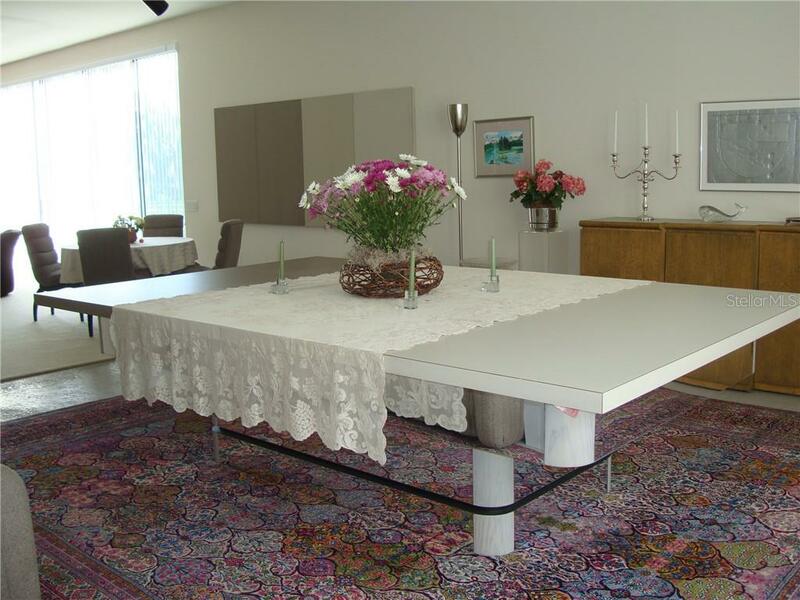 Have lots of kitchenware, china and glassware? 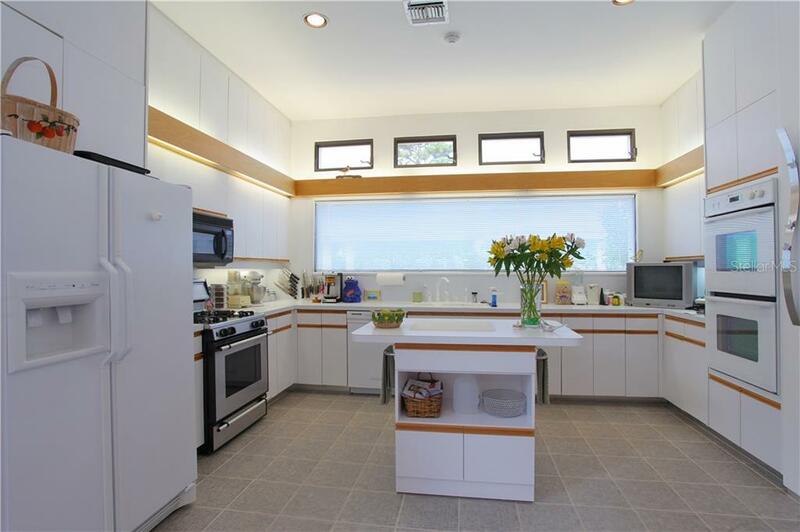 There are over 28 cabinets and a pantry to house everything. 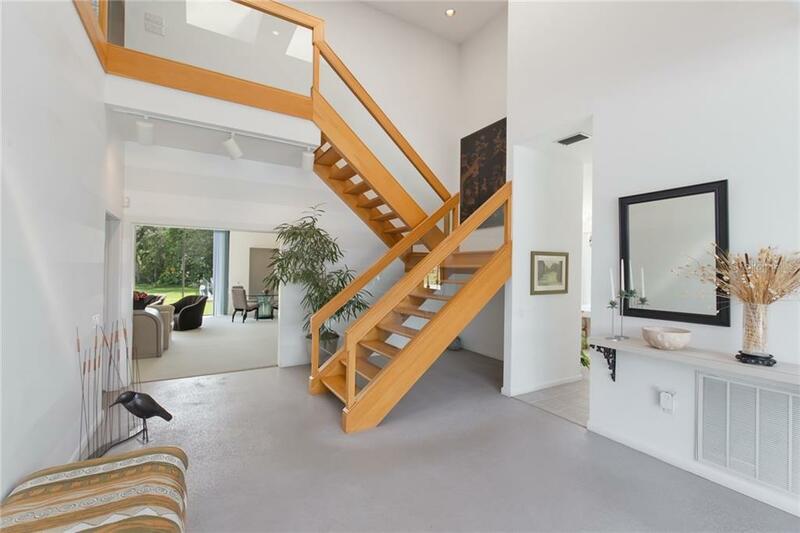 Climb the stairs to the second floor to another multi-purpose room _ media center, office, artist studio with wrap around windows. 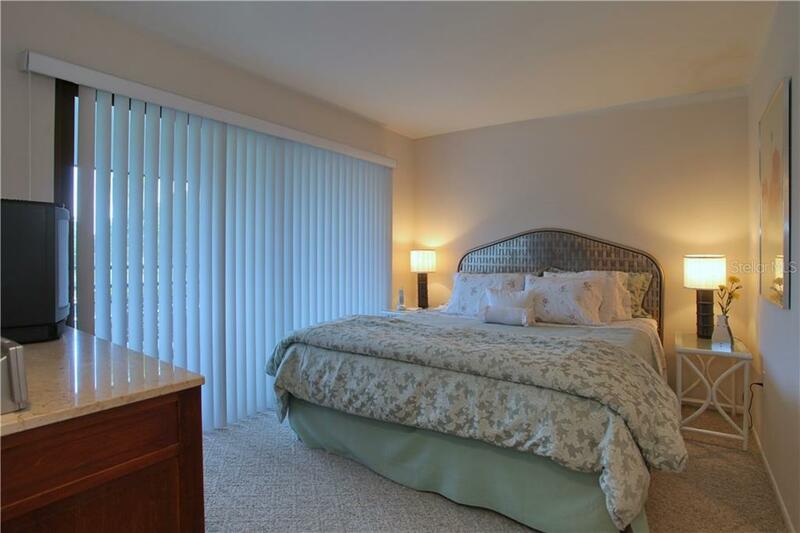 The master bedroom is double sized with a 40-foot private balcony. 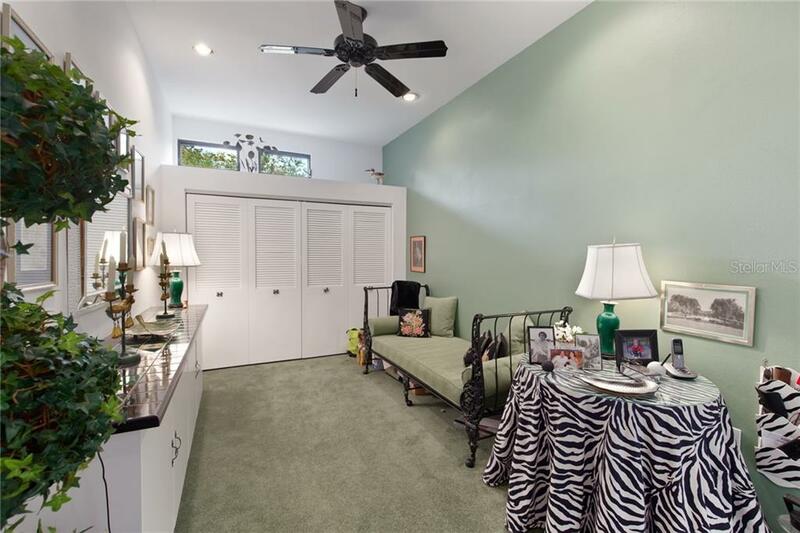 The second bedroom with walk-in closet and private bath affords a beautiful view of the pool. 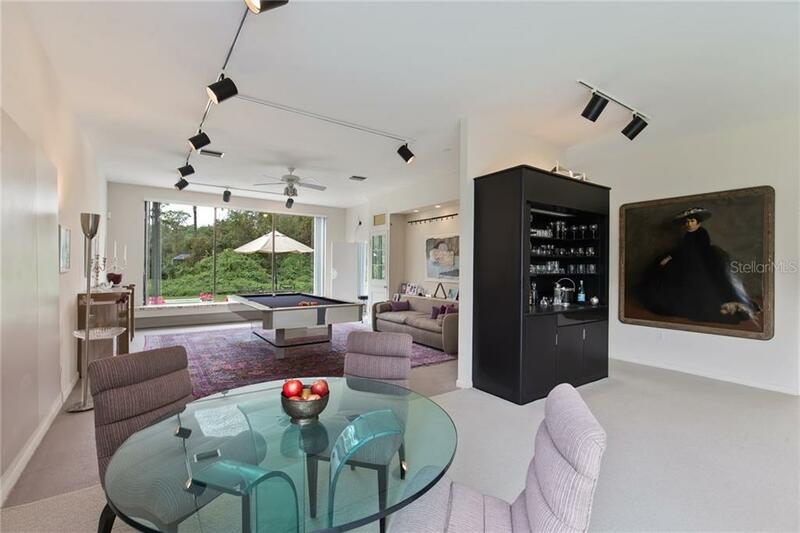 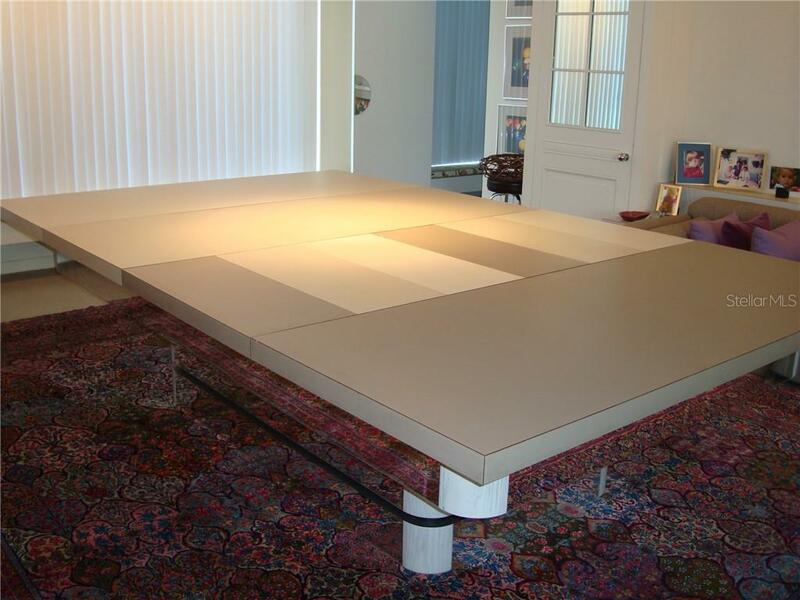 There is amazing wall space of varying heights to accommodate large artwork. 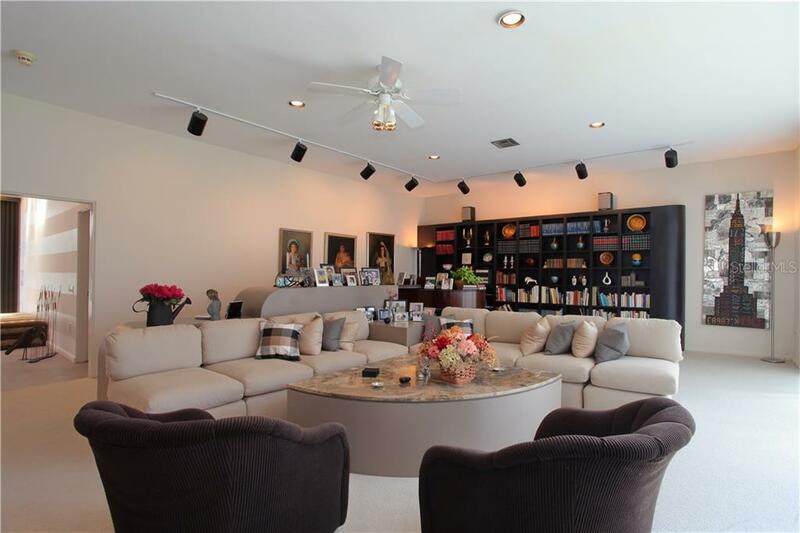 This house is an entertainer’s dream. 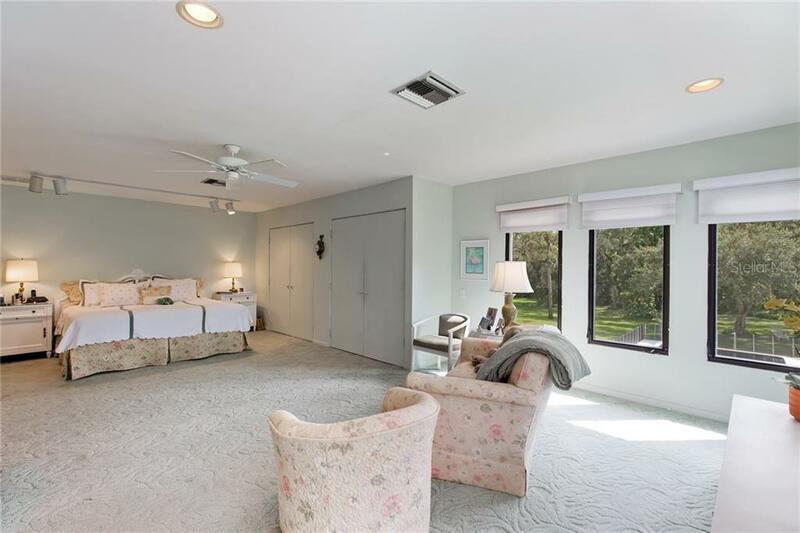 And there is more: A separate guest quarters atop an oversize 2 car garage (in addition to the garage in the main house) is perfect for friends and family from out of town. 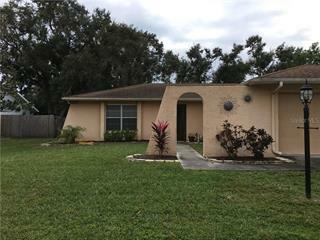 Owner is looking for a fair offer!